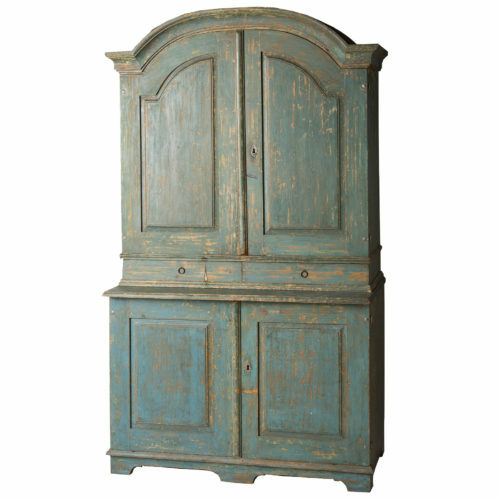 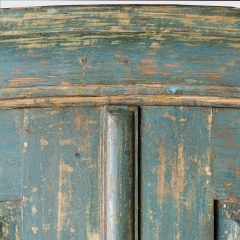 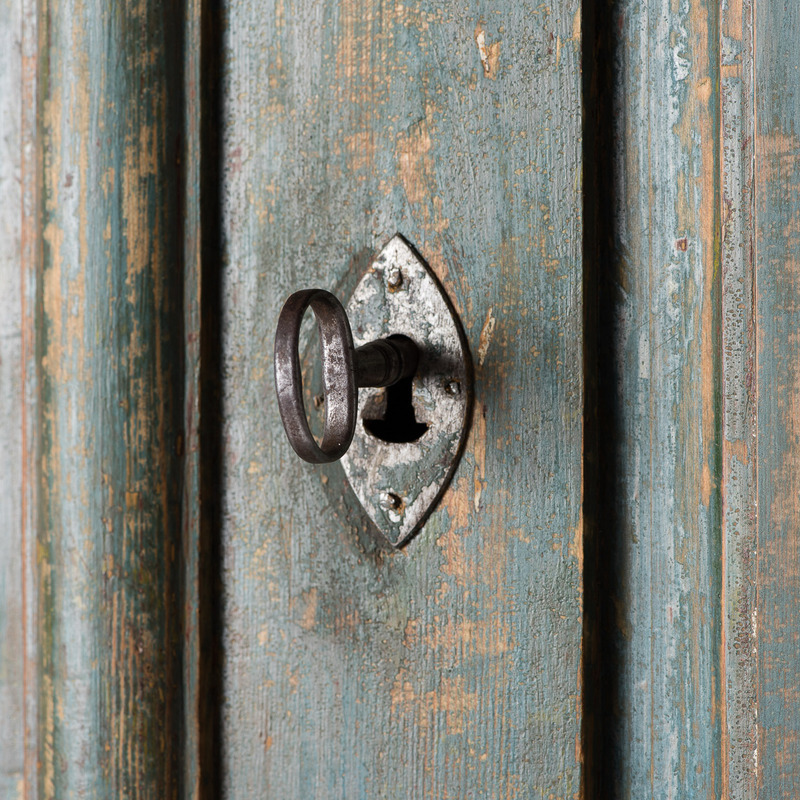 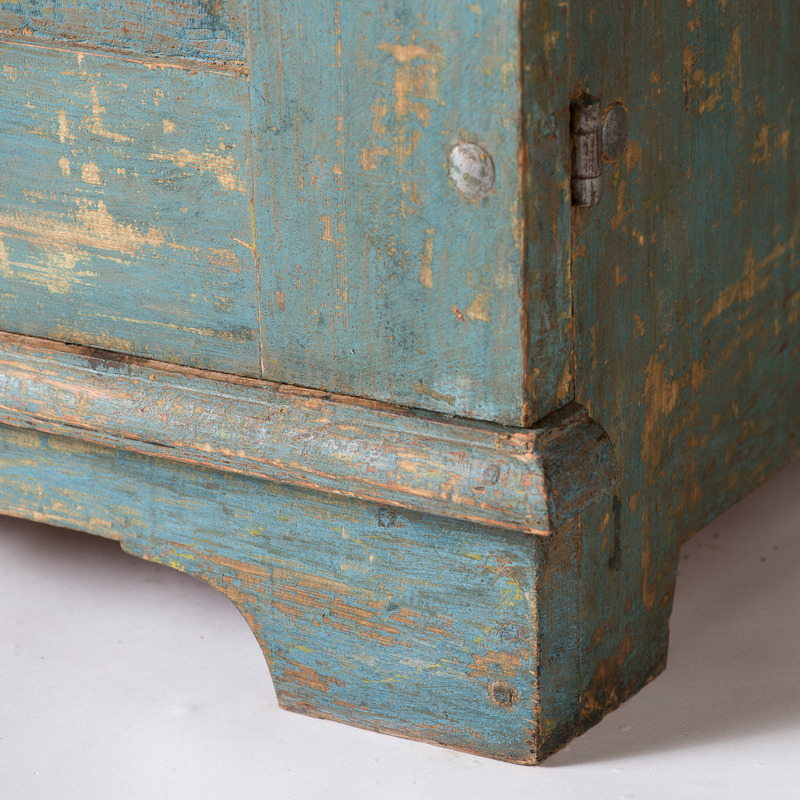 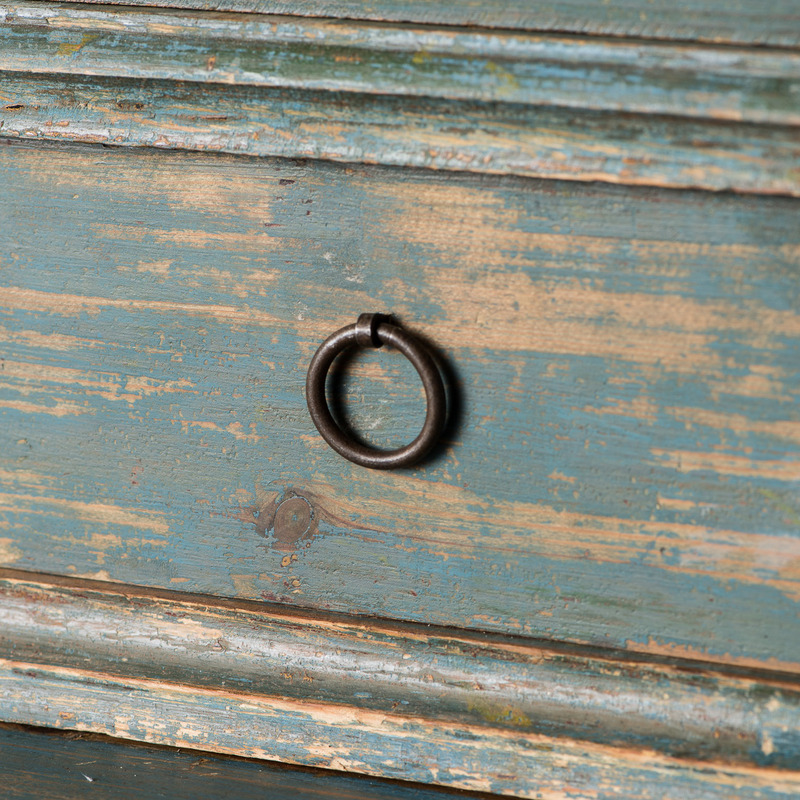 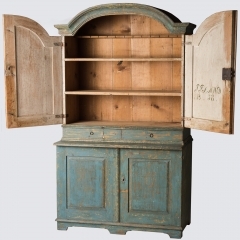 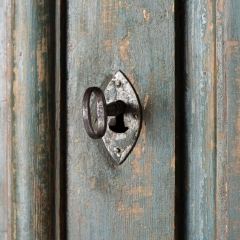 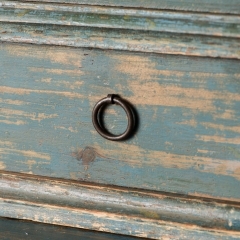 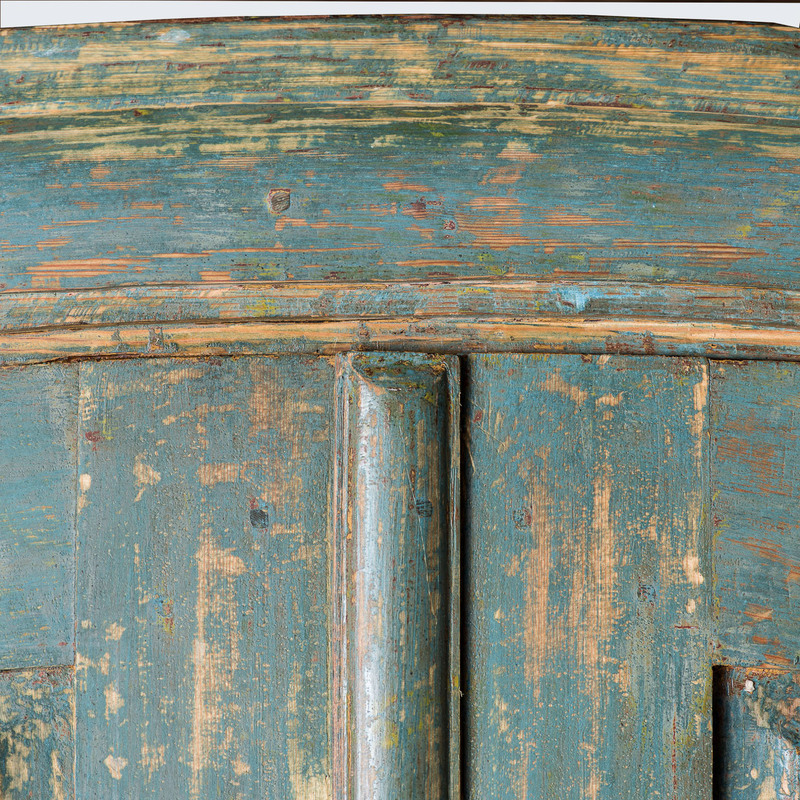 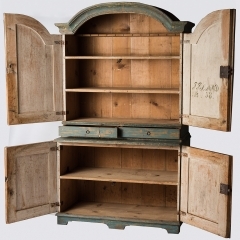 This important cupboard in the Rococo style retains the original blue paint throughout. 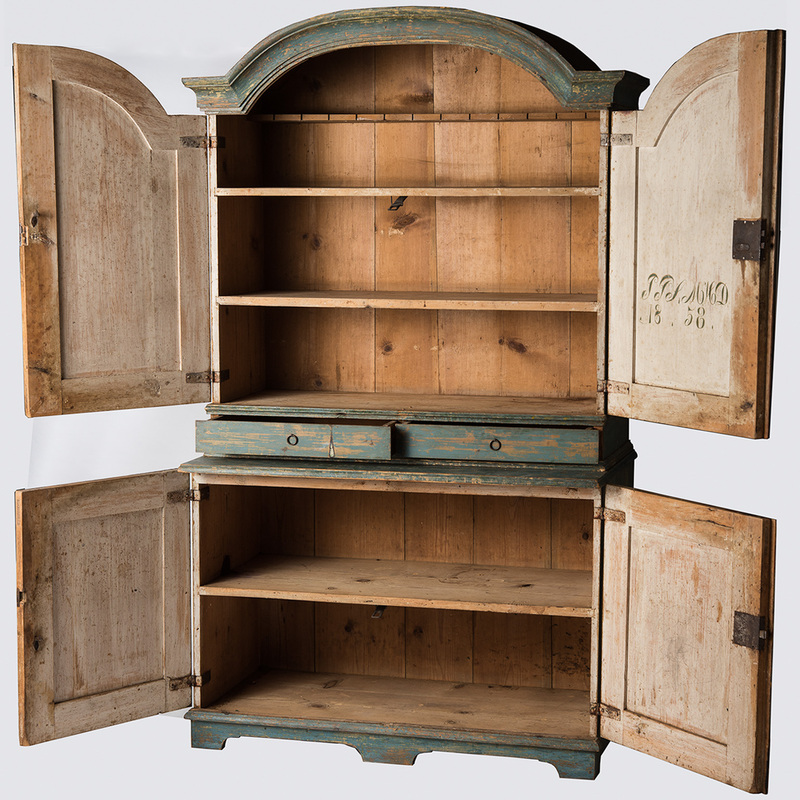 It has three interior shelves, perfect for storing collections of bowls or china. 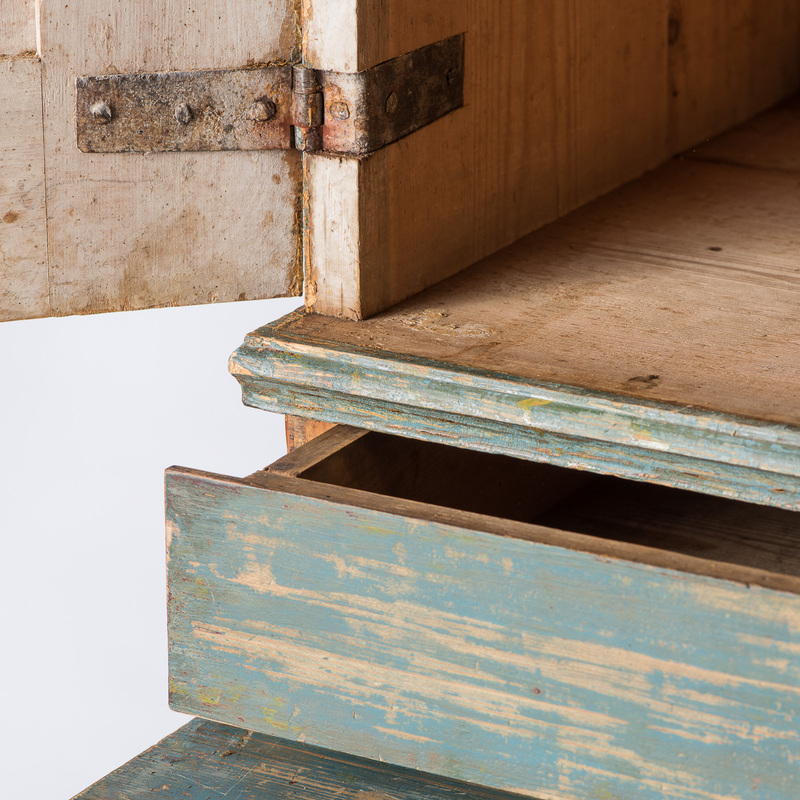 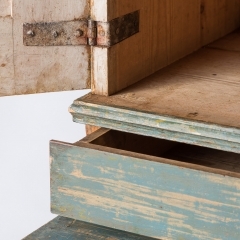 There are two convenient drawers that could be perfect for silverware and two doors with an interior shelf for storage at the bottom. 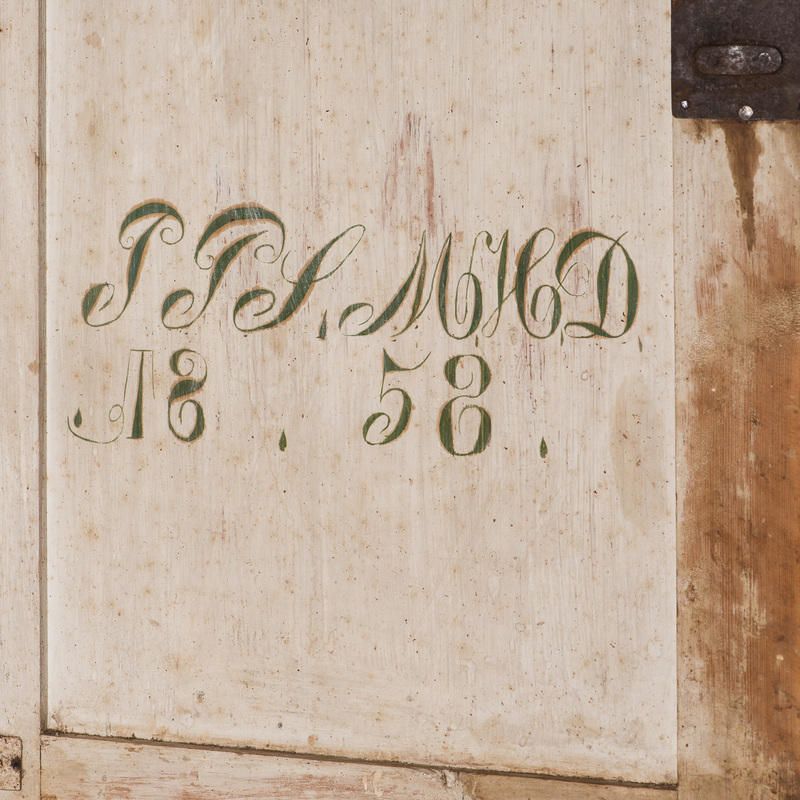 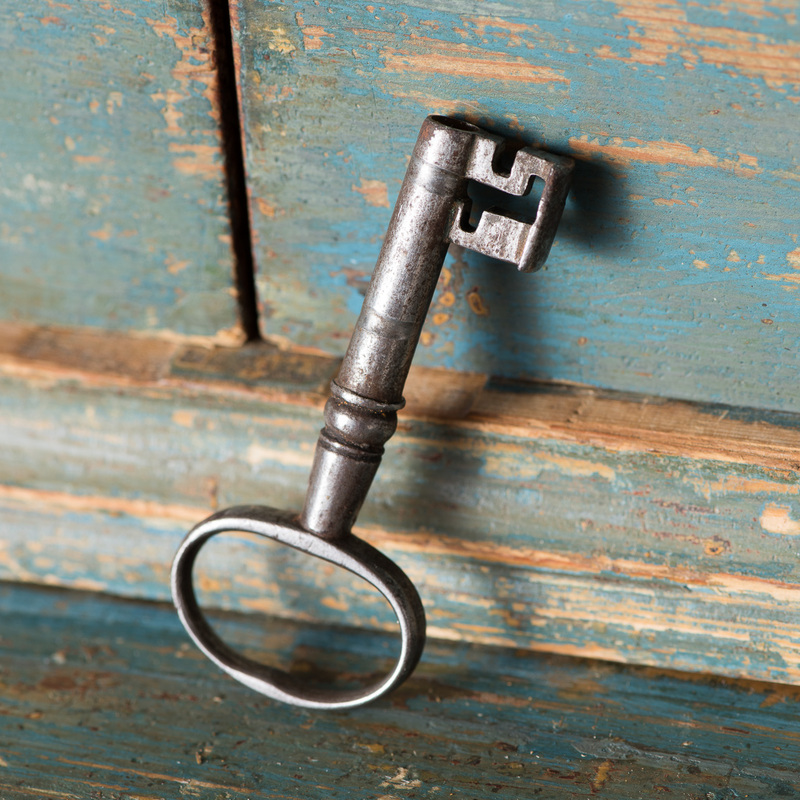 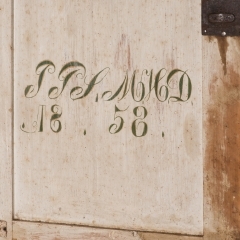 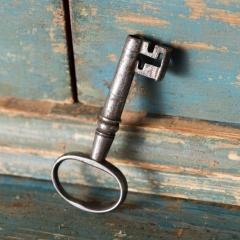 This piece might have been a wedding gift for a couple as the initials “JPS MHD” are written along with the date on the inner right door.